Measuring 26″ x 21 1/2″, it is 100% Cotton and machine washable, with a loop at the top end for easy hanging. This colorful map of East Harlem will take you from 96th Street to 143rd Street and from Fifth Avenue to the East River. You’ll find many of your favorite places on the map beginning with One Museum Mile ~ The Africa Center at 110th Street at Duke Ellington Circle, El Museo del Barrio, Museum of the City of New York, and the New York Academy of Medicine along Central Park. Stop at Joy Burger Bar or Patsy’s and walk over to Marcus Garvey Park and the historic Harlem Fire Watchtower, the East Harlem Art Park and its first Percent for Art sculpture, Growth; and Thomas Jefferson Park. Don’t miss La Marqueta, Caribbean Cultural Center, Taller Boricua, Hunter East Harlem Gallery and much more. 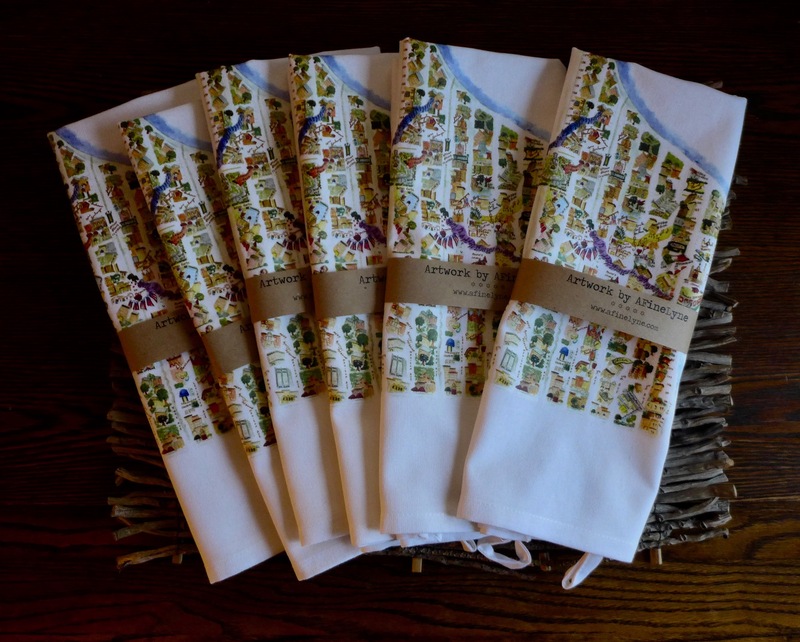 Check out the East Harlem Tea Towel on Etsy or email Lynn@AFineLyne.com with questions or more information.